Approximately 18 x 14.5cm. 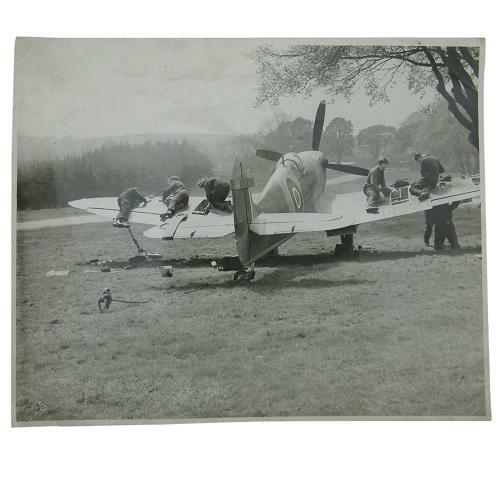 Lovely original period photograph of a Spitfire undergoing maintenance. There are groundcrew armourers and members of the WAAF on the wings, probably re-arming the guns. Light creasing but in good overall condition. Stock code P22873-105.